Are banana peels good fertilizer for plants? 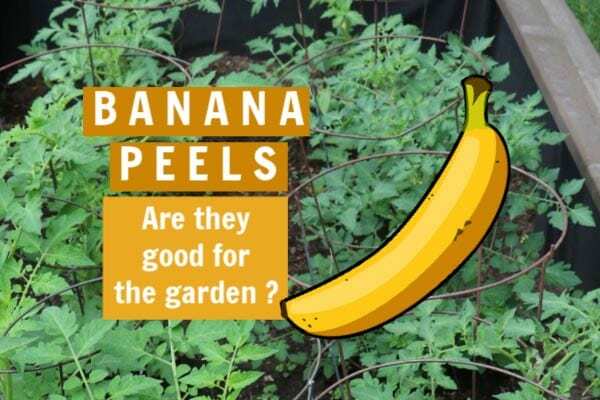 If you have seen the advice to use banana peels in the garden either as a liquid feed or in the soil, find out if they really are growth-boosting wonders. This is part of a series where we look at popular garden advice and check if it is fact or myth. NEW! 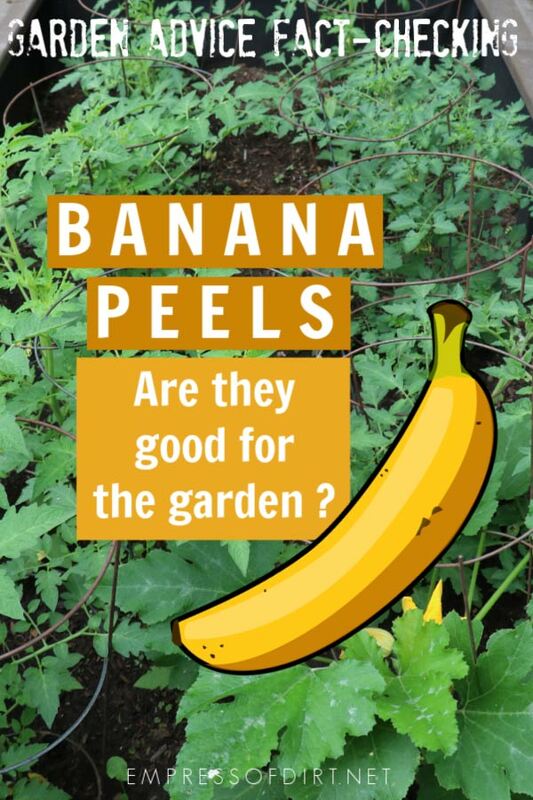 Click play to hear Are Banana Peels Good for the Garden? The gardening world is bananas for banana peels! But, WAIT. Is this stuff true? Are banana peels really a plant superfood? Can they fertilize a garden? Will they give my plants a special boost? Time to check the facts. Most claims about using banana peels in the garden imply they provide some sort of incredible plant fertilizer. And I think I see where this idea came from. There are a lot of banana eaters in Canada and the United States. And that’s a lot of peels to dispose of. The message is hammered into us that bananas are a good source of potassium. And, it’s well-known to gardeners that potassium is one of the three macronutrients in fertilizers—the K of N-P-K (nitrogen-phosphorus-potassium). You can read the basics on fertilizers here. So, putting the peels in our gardens seems like a great way to reduce food waste and help the garden. Yes, but. Not so fast. Banana peels are a good source of nutrients—as most kitchen scraps are—and that’s why they are all a welcome addition to our compost piles. Each decomposes in its own time, and together the variety of scraps provide an array of essential nutrients. But, there are no superstars in the compost pile: it takes a variety of once-living things to make good compost. And individual plant needs will determine what’s needed. Contrary to the hype, there’s nothing unique or even rare about banana peels that requires they be treated differently from other kitchen scraps. Even as a source of potassium, there are actually lots of fruits and vegetables that have as much or more potassium than bananas (per gram). Avocados are one example. Soaking banana peels in water to produce ‘banana tea’ isn’t going to do anything special for your garden. And there’s nothing to support the idea that tossing banana peels in your planting holes gives plants a boost. First, the bulk of the peel is going to create an air pocket around the plant roots —something you do not want. From there, banana peels are very slow to decompose, so even if there was some benefit from the nutrients, they are not going to be available any time soon. And finally, just because potassium is one of the macronutrients for plants, does not mean more is more! Plants can’t take up nutrients just because they are available: they take up nutrients when there is a need and they are able to. This is why a soil test from an accredited lab can be so helpful: it will tell you what your garden soil actually needs. And that’s why it’s smart to feed a known need, not just toss stuff at the garden and hope it helps. Bottom line, yes, always put your fruit and vegetable scraps in the compost bin: it is much better for the environment than sending them to landfill. But, despite the hype, banana peels are nothing special, and will not give your tomatoes or anything else a special boost. Are Epsom Salts Good for the Garden? Is Dish Soap a Good Insecticide? Just make sure that anything going into your compost is ORGANICALLY grown, no pesticides ?